*Children under 12 stay for free: maximum two per casita when sharing it with one or two adults, using existing bedding. 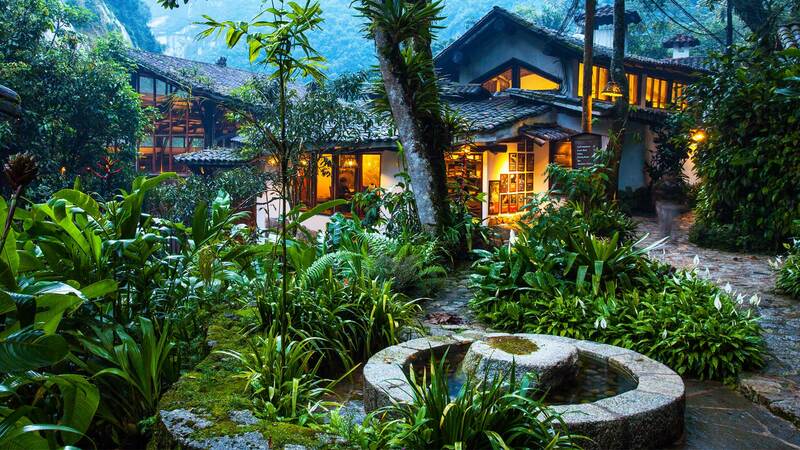 Inkaterra Machu Picchu Pueblo Hotel occupies a private five-hectare (12-acre) mountainside reserve, located at the foot of Machu Picchu Mountain, near the Machu Picchu Pueblo railroad station. With the look and feel of a rustic Andean Village, this welcoming retreat offers travelers an authentic travel experience, in an atmosphere of refinement and thoughtful hospitality. The spectacular grounds are laced with paths that wind past waterfalls and gardens; trails wander through wild forest. This is a place to relax, while exploring nature and encountering the wonders of the Inca civilization, feeling an authentic travel in an atmosphere of refinement, caring, and warm hospitality. Book 2 nights and receive a third for free. Valid for new reservations with stays until December 31st, 2019. Limited availability. Not valid with other promotions. Programs and rates are subject to change without prior notice. Go along part of the route of the Birding Rally Challenge 2012 and 2013 in the Andean cloud forest. Connect with the fascinating flora and fauna of the Andean cloud forest. An educational and fun adventure for all ages. Recommended for couples seeking an unforgettable magic sojourn. - Welcome drink and dinner in our glass-walled Dining Room. - Private dinner: candles, bottle of cave or wine, butler service and an a la carte dinner. -Additional services include IVA, disaggregated automatically. Additional services are not exempt of IVA. -Peruvian residents are subject to IVA in their accommodation that will be added when filling personal information. -Non-residents are exempt of IVA in their accommodation, they must present at check in original passport and Andean Immigration Card with a stay less than 60 days in the country. If the documents are not presented, IVA will be charged at the hotel. -Services offered in the Amazon rainforest are exempt of IVA.